Sending flowers to someone or ordering a floral arrangement to perk up your dining room table? One or two major, mega online floral delivery services probably come to mind, but there are so many new and exciting sites to consider. Some prioritize working with fair-trade farms, others are committed to facilitating access to the best, most talented local florists in your town. How to choose? Touting convenience, unrivaled freshness or top-tier design work (or a combination of all three), our picks highlight what each floral delivery site is known for—and does best—so you can make a decision, and then make someone's day with a gorgeous bouquet. 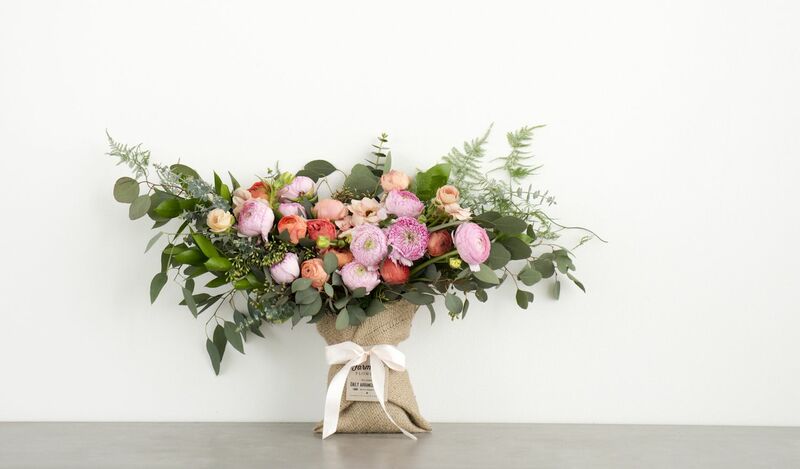 Sourcing its blooms from socially and environmentally ethical farms, this San Francisco-based online flower shop creates a select number of designer-quality arrangements each day, and ships them all over the U.S. (the lower 48 states to be exact). Bouquets feature the best, seasonal flowers available, and there’s a rotating gallery of in-season blooms for a sense of what it might include, whether it’s armfuls of ranunculus, or a “grown in the U.S.A.” selection gathered exclusively from American growers. A charming touch: all hand-tied bouquets arrive with the stems wrapped in upcycled burlap coffee bags from local Bay Area roasters. This vast online network of local florists, searchable by zip code, offers users the convenience of coordinating the logistics of a flower delivery online with the feel-good benefits of supporting a small business. As with other sites, you’ll choose a florist’s bouquet based on its picture, but control freaks will find reassurance in the “Bloomsnap” feature—all customers receive a live pic of the arrangement they’ve ordered before it’s hand-delivered. 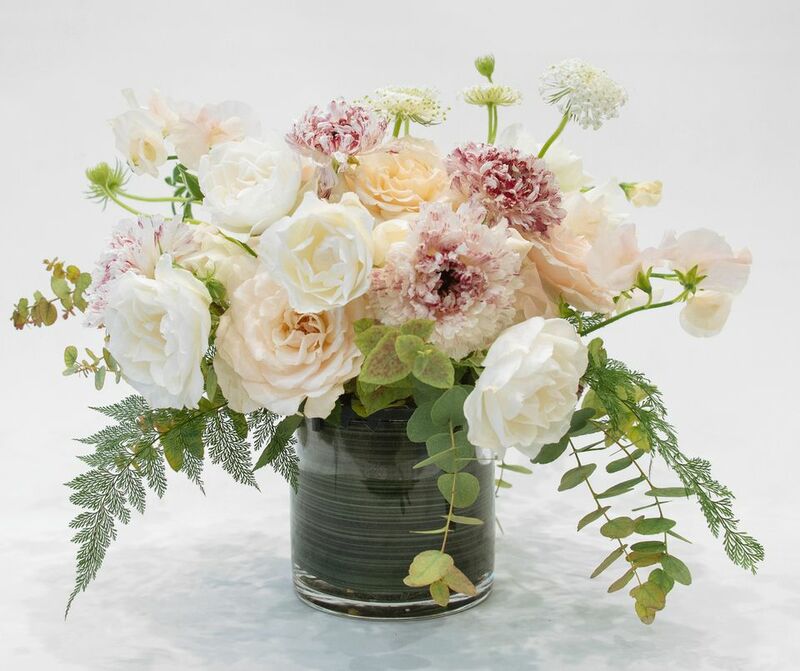 Keep it simple, and keep the flowers coming, with this floral subscription service offering delivery plans on a monthly, weekly and bi-weekly basis. Single-variety, paper-wrapped bouquets feature popular, in-season flowers (think: sunflowers, blue hydrangea, tulips)—no frills as far as design. However, free overnight shipping—direct from the site’s global network of premium, fair-trade growers—makes flower freshness a non-issue. In fact, many stems arrive in bud-form so flowers last longer, and the recipient can have the pleasure of watching them blossom. A great option for reliable same-day delivery (with hand-written cards), this new site corrals the best indie florists—of the true hidden-gem variety—within a convenient Amazon-like shopping platform. These pros have been curated by founder Lana Elie, a former Burberry and Prada marketing exec, and her team, to ensure that all bouquets are en pointe, with an aesthetic and presentation that’s unique to the florist who designed it. Kate Moss, Chanel and the luxury fashion e-tailer Farfetch utilize the service, which is currently only available in NYC and London (boo), but plans to expand to other cities are underway (yay). You realize you’re dangerously low on toilet paper and log on to everyone’s new favorite place shop for groceries and cleaning supplies in bulk. Then a reminder pops up that it’s your mom’s birthday in T-minus two days but, oh hey, Boxed has a has a fresh flowers section? Problem solved. Choose from 20 bouquets (exclusive designs created by local florists via mega online flower seller Teleflora), add one Mom’ll like to your cart and forget about it. This company markets pretty aggressively—expect lots and lots of promotional emails and pop-up ads if you order with them—but it's worthy of your support because it’s helping farmers all over the world grow their businesses. Shop the “Farm to Table” option and your flowers are cut to order, which means the growers cut only what they sell—no wasting one out of every three stems as is the norm elsewhere. Each farmer has a profile so you know exactly where the flowers are shipping from, whether it’s “Farmer Paul” from California or “Farmer Juanita” in Columbia. Same-day delivery is also available through a network of local artisan florists, searchable by zip code. DIY floral arranging kits are this site’s shtick, so you should only purchase flowers here if you know the recipient would genuinely take pleasure in assembling the stems herself. If you opt for a subscription plan (weekly, monthly or bi-monthly), all of the required elements are provided in a starter kit that includes a container, floral tools and instructions. Choose from one of four chic looks you’d like to explore on an ongoing basis (Modern Farmhouse, Rustic Cottage, French Country and Warm Industrial), and different bouquets will arrive according to the schedule you’ve selected. Special one-off kits are also available for as little as $20. Shop this wholesale florist if you’re a connoisseur who knows and prefers the exotic, or hard-to-find varieties that are usually exclusive to the trade, including David Austin Juliet garden roses or the lushest, freshest peonies in coral, cream and other colors you never see at Whole Foods. (Normally such blooms would come at a hefty retail markup—not the case here.) You can buy in small to large quantities say, for an intimate dinner party, or a one-off Mother’s Day or Valentine’s Day gift, or for the purpose of creating DIY wedding bouquets and centerpieces. Blooms ship directly from the farm so you’re able to enjoy your flowers within days after they are cut—the freshness is real. Currently offering same-day delivery in San Francisco, NYC and L.A., and next-day delivery in other states, this startup models itself after Uber. Download the irresistibly convenient app to send flowers on a whim or when you’re on the go. You can also place orders from your desktop, but there’s something about the tap-tap immediacy of a phone order—and not having to talk to someone—that’s just really appealing, especially if you’re a frantic multi-tasker or…lazy. Choose from a tightly-edited, easy-shop selection of nice-looking gifts, from handcrafted bouquets to a handful of baskets filled with cookies, spa treats and more. Here’s an option to pursue when you want (or need) to completely wow someone, right a wrong or convey that your taste level is baller. Currently available only to those who live in NYC, San Francisco, Chicago, Washington D.C., Atlanta, Portland, Seattle, and Los Angeles, this super-luxe online flower boutique offers neat, tailored arrangements of impeccable, long-lasting roses from Ecuador. The sting of its prices ($169 and up) and equally steep delivery fees are lessened by the completely gorgeous presentation: Each arrangement arrives in a chic Parisian-inspired hat box that cleverly conceals a vase filled with water for easy removal—but the overall design is so Instagrammable you’re fine to display it as is.